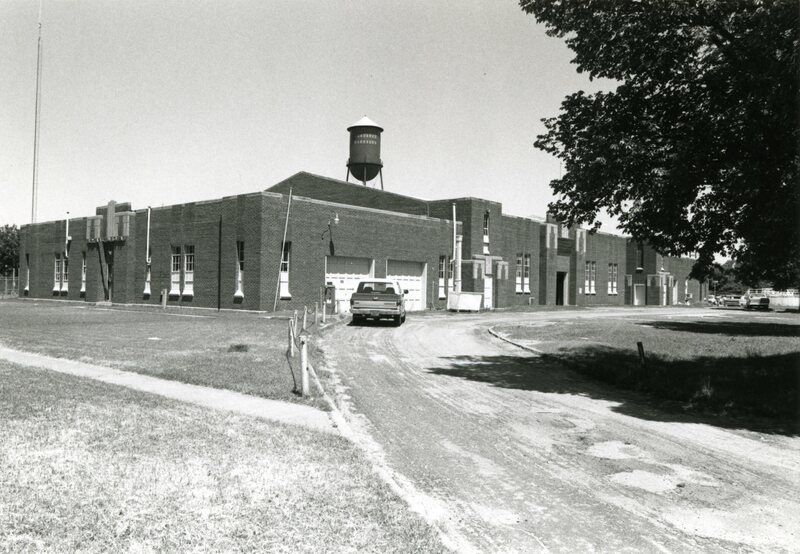 One of the significant projects of the WPA during the years 1935-1943 was the construction of military armories. This T-shaped armory is rather unique in its design with wings extending on the north, south and west. At the center is a barrel-roofed drill area, with a stage at one end. Beneath this stage area was an underground rifle range. The armory contains 23,000 feet and was one of the largest built in Oklahoma by the WPA. The armory was built to house three units of the 45th Infantry. It was the Regiment Headquarters for the 158th Field Artillery, as well as home to Company B of the 158th Field Artillery and Company F of the 120th Quartermaster Regiment. This year, the armory was deeded from the Oklahoma Military Department to the city of Anadarko, as part of the Guard’s long-term plans to consolidate its area facilities to Fort Sill… The city council has identified several potential uses for the armory, including a home for its public works operations or a community center. By late summer, 1935, Caddo County commissioners had submitted proposals for several WPA projects, including sidewalks, an athletic stadium, a community building, a fairgrounds grandstand, and an armory. In order to obtain WPA approval for its armory proposal, the city deeded a site measuring 225 feet by 250 feet in Randlett Park to the State of Oklahoma in October. Scheduled to begin on November 1, construction was postponed by a federal order that brought several Oklahoma armory projects to a temporary standstill. The order was rescinded in late November, and groundbreaking began in earnest on December 4, 1935. 8 The sponsor’s share of the cost of the armory was provided in land. The Anadarko Armory project expanded quickly in terms of building size, time frame, and labor requirements. 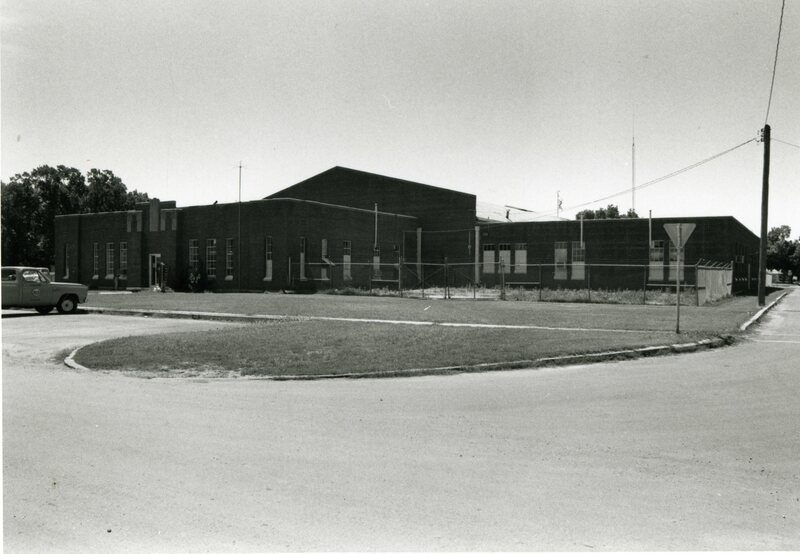 Rather than the two-unit armory originally envisioned, the final plans called for a three-unit structure of more than 23,000 square feet in four sections, making this one of the largest armories constructed under the program. The size of construction crews varied from one hundred to two hundred men working in staggered shifts of six hours. 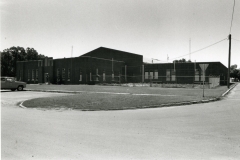 9 The building was completed during the first week of January, 1937, though the Guard began storing equipment on the premises as early as August, 1936. During the latter part of January, 1937, the city parks board sponsored a crew of seven National Youth Administration boys to landscape the grounds. Clubs and church groups began using the armory for social programs upon its completion, and the National Guard moved in, despite the fact that the dedication date was pushed back several times. 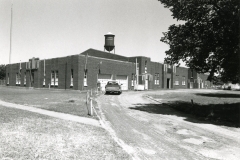 Finally, on April 27, 1937, Anadarko dedicated its new armory with an elaborate program. General Key, state WPA director, and other state and local dignitaries participated in a program that began with a “stag” lunch and included a parade, a cornerstone ceremony, a banquet, and a dance in the new armory.